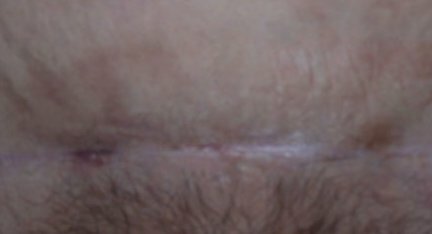 First photo shows the staples still in place, the second the scar covered in steri-strips and the third with these removed. 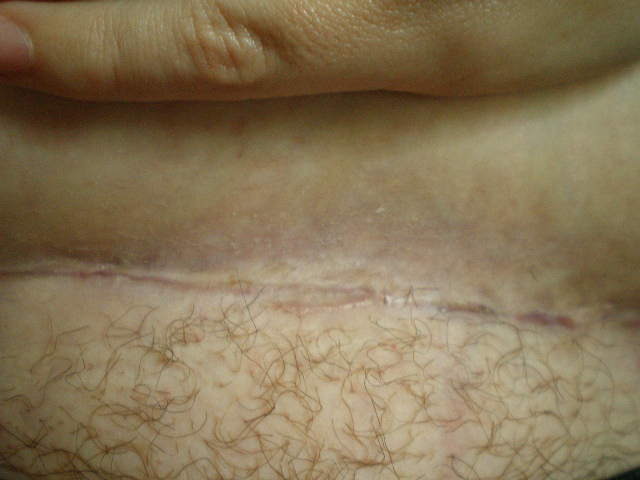 This was a first caesarean carried out in SE Asia. 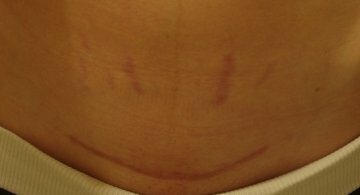 This was a first caesarean carried out in USA. 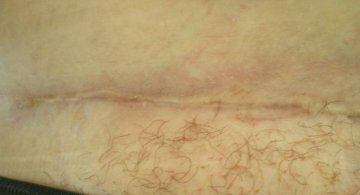 This was a first caesarean carried out in UK. 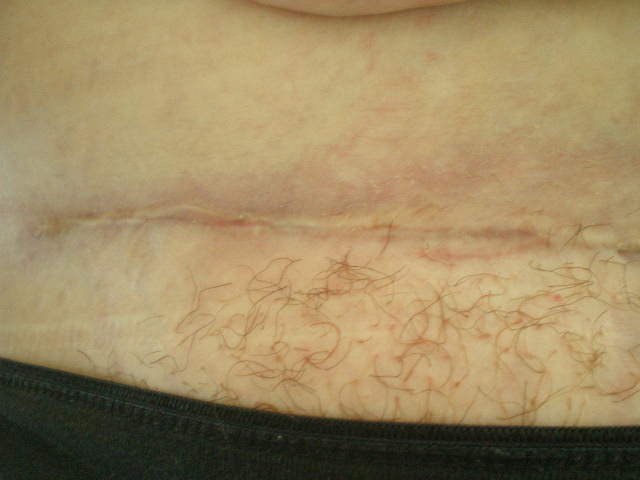 This was a first caesarean during a first pregnancy carried out in Australia. 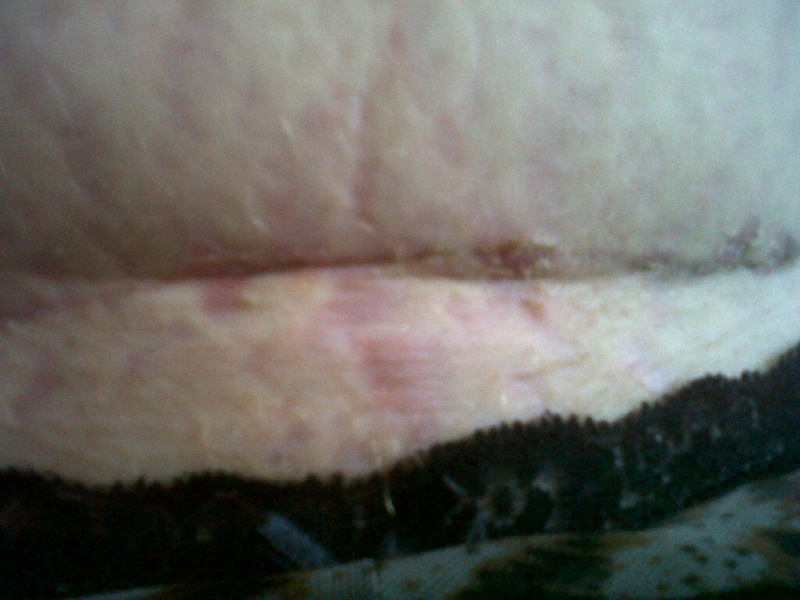 In the first picture the staples can be seen still in place. 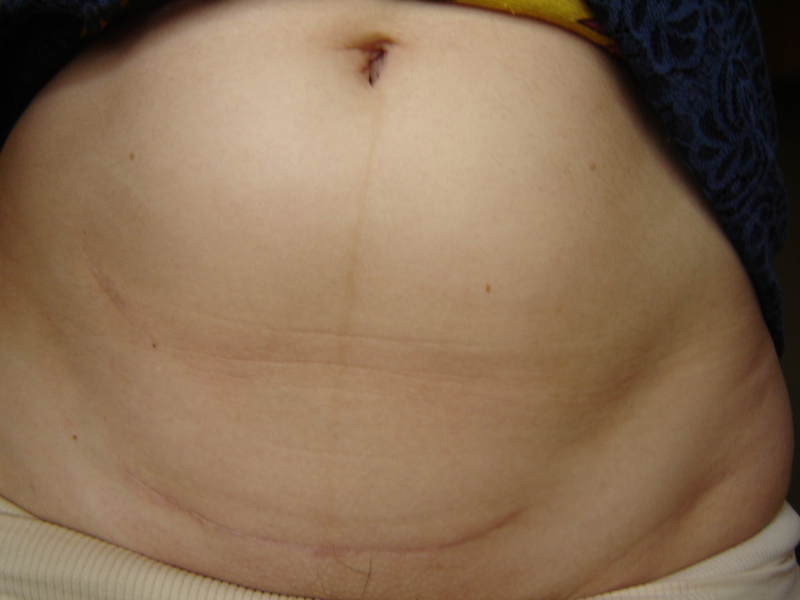 This was a first caesarean carried out in UK, at only 23 weeks and 4 days gestation. 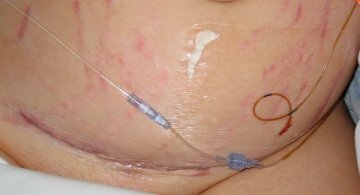 This was a first caesarean carried out in Australia. 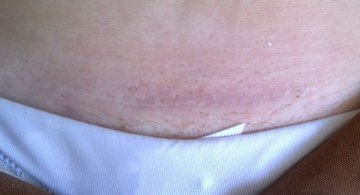 This was a first caesarean carried out in Cyprus. 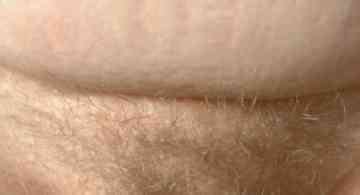 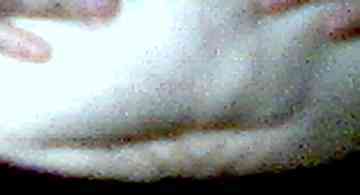 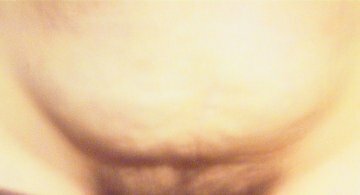 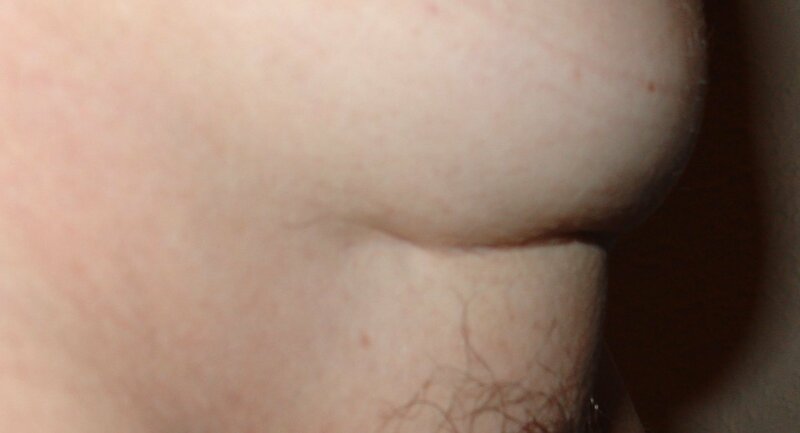 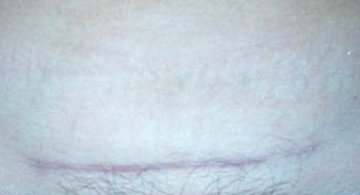 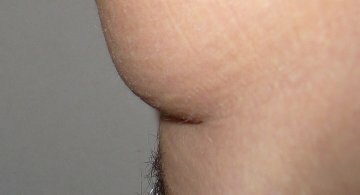 The first pair of picture shows the scar from the front with and without the overhang held up, and the second pair from the side with and then without the overhang held up. 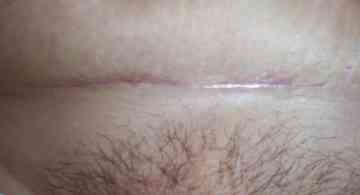 This was a first caesarean carried out in UK. 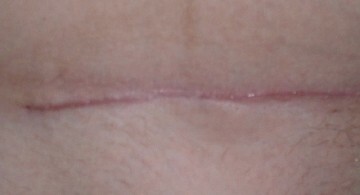 The scar is slightly to mother's right hand side. 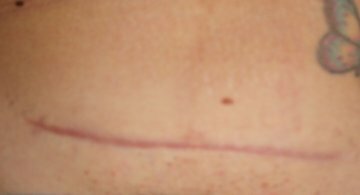 This was a first caesarean carried out in USA. 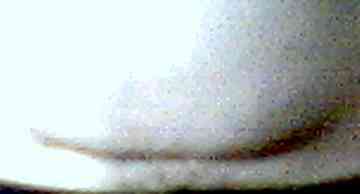 In both the earlier and later pair of photographs the first of the two pictures is with the overhang held up. The mother had also had two further pregnancies, both VBACs, before the second set of photographs were taken. 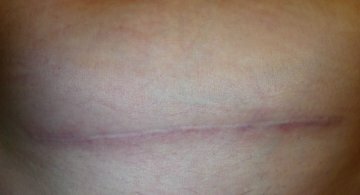 This was a first caesarean carried out in New Zealand. 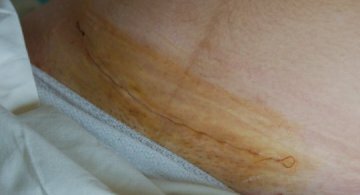 This was a first caesarean carried out in USA. 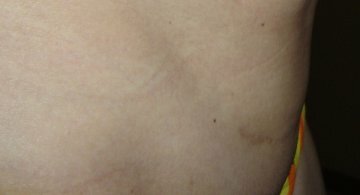 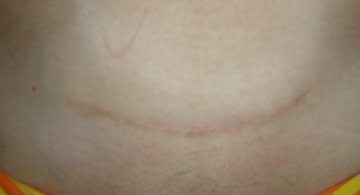 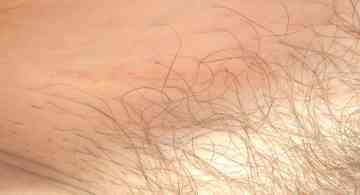 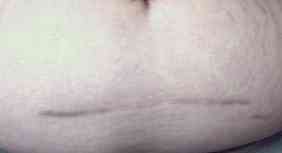 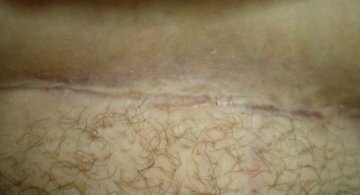 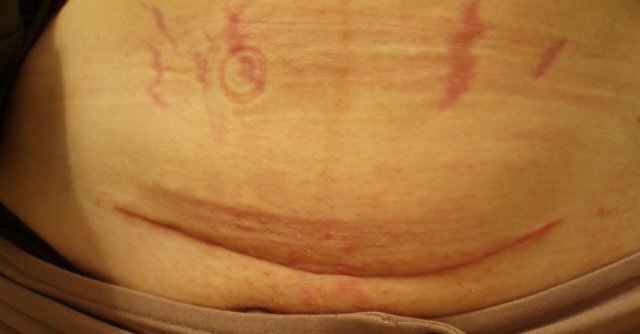 The scar is vertical and the reason for the caesarean was a uterine constriction ring. 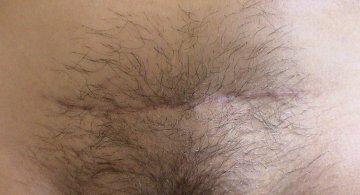 This was a first caesarean carried out in UK. 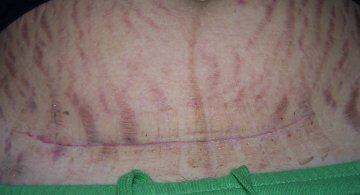 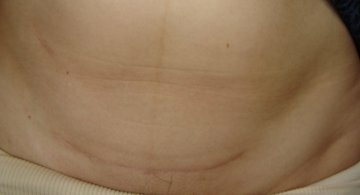 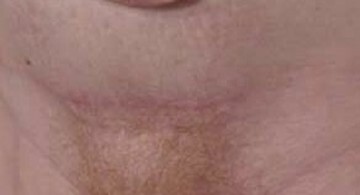 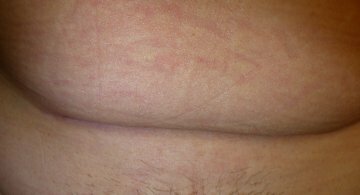 The scar is very lop-sided, it is 15cm long, but only 4.5cm is left of the midline of the mother's abdomen, but the scar stretches 10.5cm to her right side. 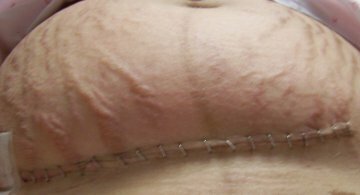 This was a second caesarean during a second pregnancy carried out in UK. 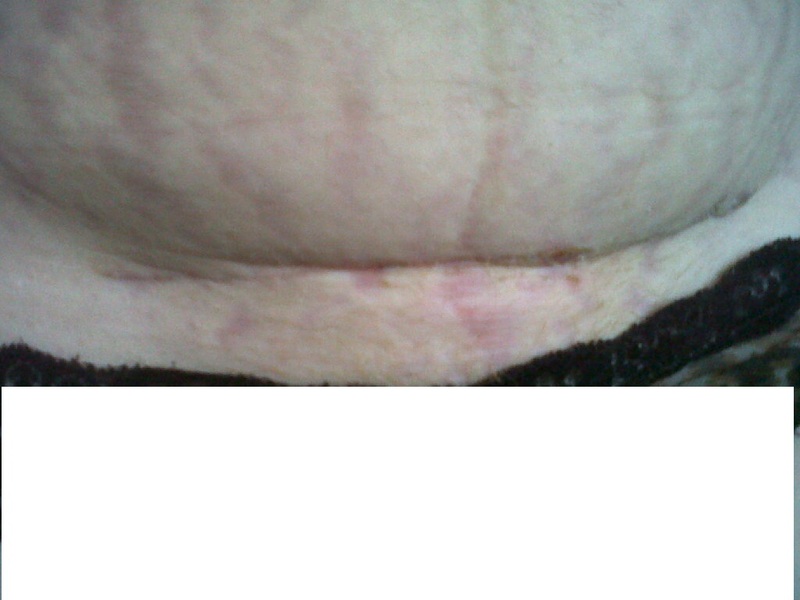 This was a 4th caesarean carried out in UK. 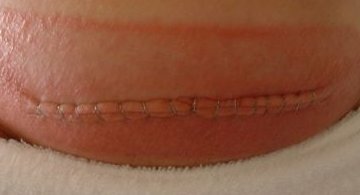 This was a first caesarean during a 10th pregnancy carried out in New Zealand. 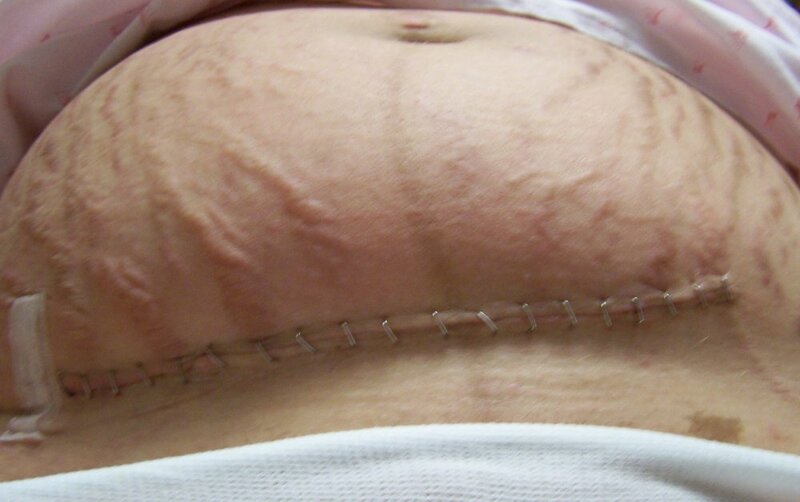 This was a first caesarean during a third pregnancy carried out in USA. 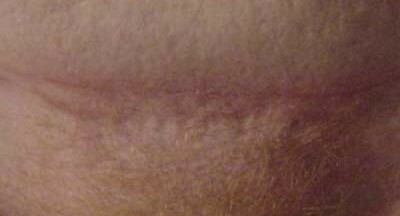 In the first two pictures the mother has held up the "ceasarean overhang" so the scar can be seen. 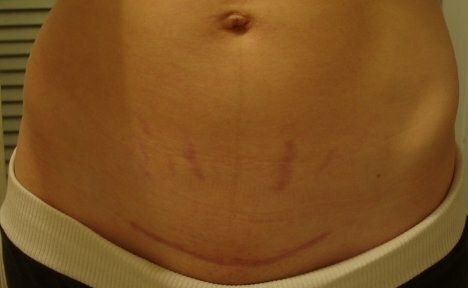 This was a first caesarean carried out in USA. 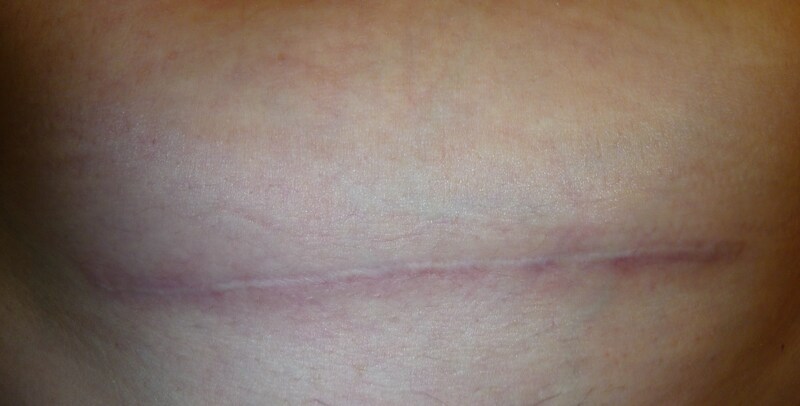 6 months previously the scar was still really red. 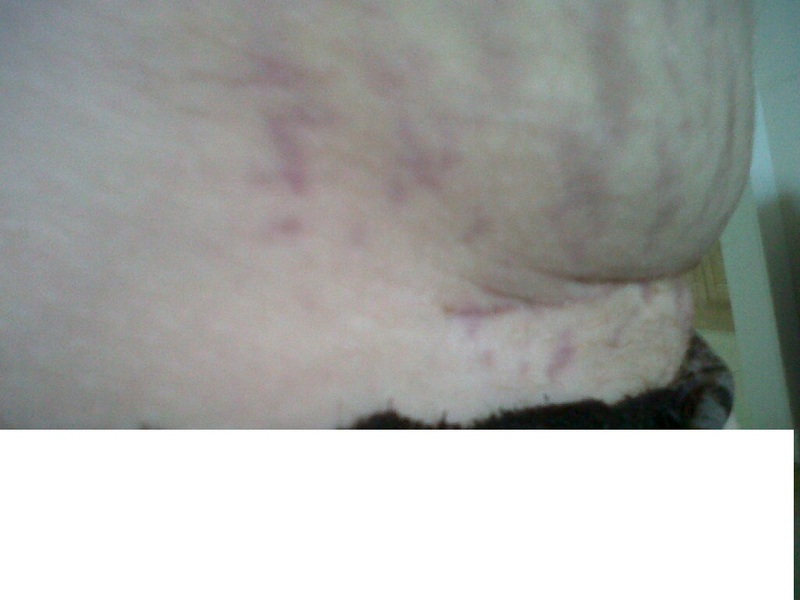 This was a second caesarean carried out in Greece. 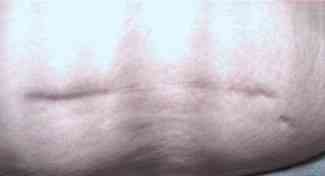 This was a first caesarean carried out during a 4th pregnancy in UK. 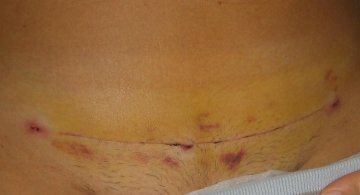 This was a second caesarean carried out in UK. 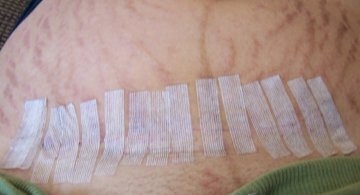 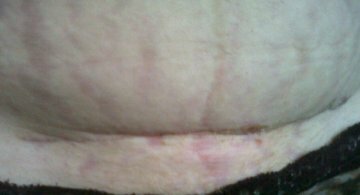 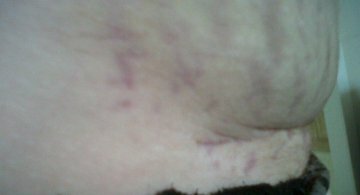 PHOTOS TAKEN between 3 & 4 months after the operation, over three weeks, during a 5th antibiotic treatment for wound infection. 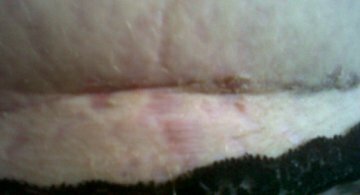 This was a 3rd caesarean during a 3rd pregnancy carried out in UK.